I just couldn’t help myself… Isn’t this brilliant? 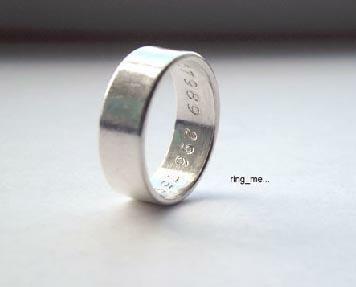 Your phone number is engraved onto the inside of the ring and you give it to someone who you wish to “ring” you. This took me a few minutes to ‘ring’ but once I got it….what a laugh. Go check out all the other fun things that ‘projectsneeze’ has done. This entry was posted in Blog and tagged Design, Jewellry, Jewelry, Ring. Looks fabulous, I’m putting it on my mental list for the next time I’m in CT. The cupcakes look amazing.